Again, I’m spending the Autumn in New Mexico. Side trips add variety and quells the ‘itchy feet’ syndrome. Rarely are these well planned, but rather more spur of the moment adventures. 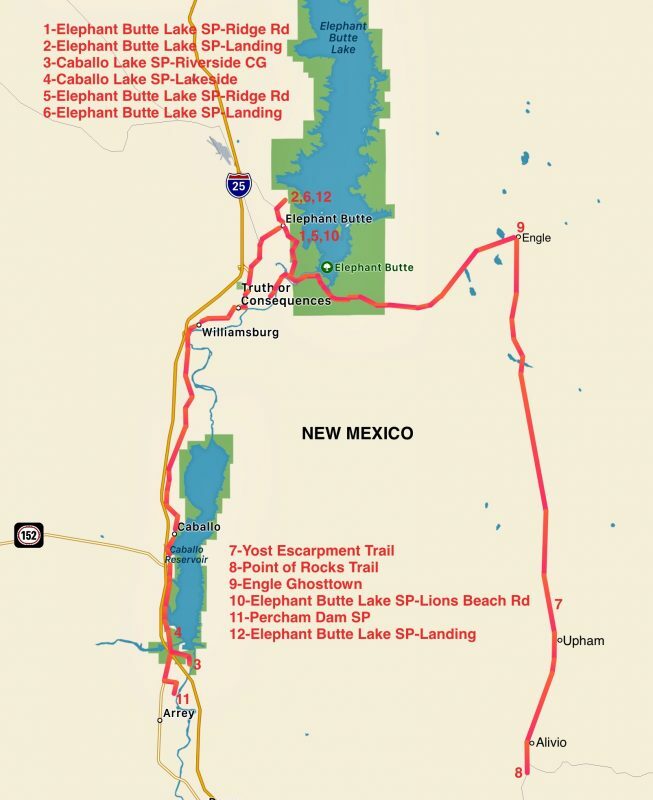 I generally rotate camping between Caballo Lake and Elephant Butte Lake. The weather is usually pleasant, several camps are conveniently close to each other, as are shopping and services. 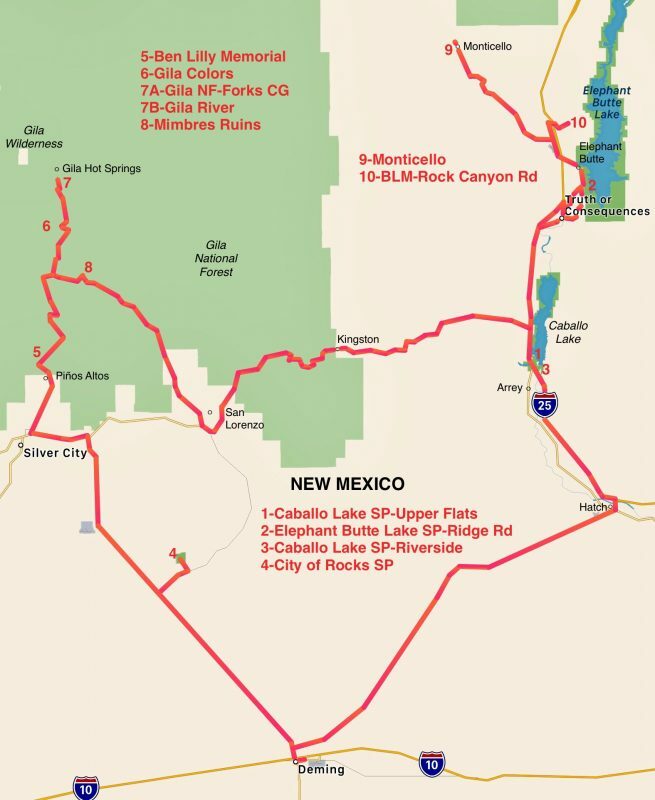 My first excursion was up into the mountains to see the Ben Lilly Memorial, Gila Colors, Gila River, and Mimbres Ruins. Then a short hop to check out the small village of Monticello. 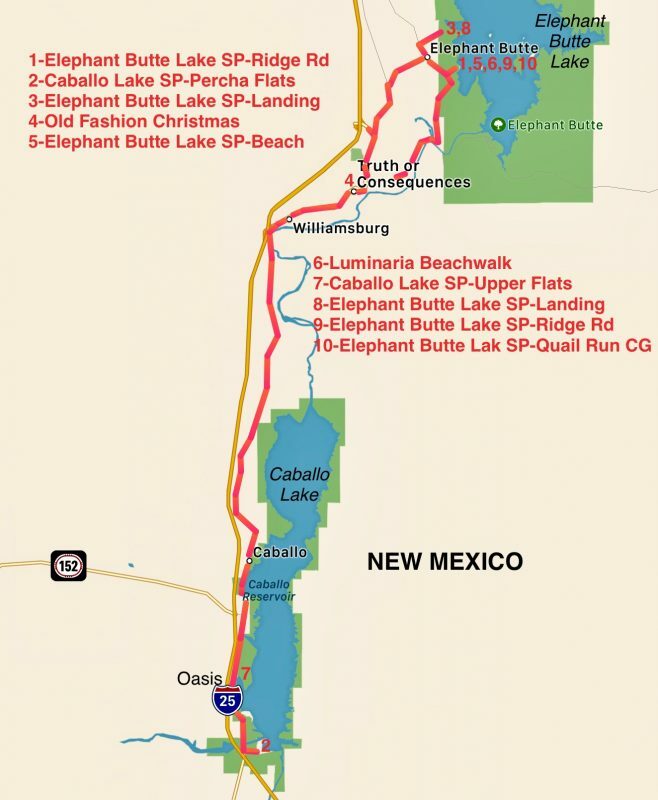 Switched between camps at Caballo Lake, Percha Dam, and Elephant Butte Lake. Hiked a couple of trails that went to the Jornada del Muerto portion of El Camino Real de Tierra Adentro, and visited the ghosttown of Engle. The last month of the year was a relaxing time moving between camps and attending a couple of holiday events; Old Fashion Christmas and Luminaria Beachwalk. It was fun year.